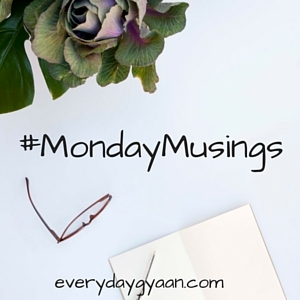 #MondayMusings – Where Has the Love Gone? Lately, I’ve been reflecting a lot on Loving-Kindness and Compassion. I’ve been researching some of the people who’ve inspired me over my life and most of them, in one way or another, practice these. With the current political climate in the US, I wonder if any of the candidates on both sides of the aisle even know what these words mean. I see so much mudslinging and hatred coming out of the mouths of these would-be leaders. Where is the compassion for all life? Where is the love for those not like one’s self? None of these so-called great men or women even touch on these subjects. They choose to divide us by telling us all of the things that separate us from one another. It is no wonder that I am ambivalent about even voting these days. I’ve resolved that until there is a candidate who stands for love and compassion and runs a clean candidacy, then I will exercise my right not to vote. I just cannot choose a lesser evil when they are all equally evil. I long for the days of peacemakers like Martin Luther King, Jr., Gandhi and Robert Kennedy. Perhaps I am merely a dreamer. Perhaps these great men were mere angels sent here to guide us and found us not worthy. Perhaps this is why there are so few great peacemakers left in the world. And perhaps this is why I am drawn toward Eastern Philosophies and these practices of Mindfulness, Loving-Kindness and Compassion. I would love to here YOUR thoughts on this. Please share them with me in comments. Come join us and share something Inspiring today! If research was a drug, I would totally be a junkie. I am obsessed with it and I could get lost in it for hours. And I have many, many times. Sometimes the research is brief. Other times, it is extensive and takes days or even weeks to complete. I don’t mind the hours of dedication though. I would much rather have something well researched than to find out later I’d made a serious mistake. Lately, my research has been on Film Noir for an upcoming project in March. I’ve been watching old Film Noir movies for a couple of weeks now trying to get down the essence of what Noir really is. Dark. Suspenseful. Twisted situations. Mysterious characters. I think I get it. I hope I will be able to translate all of that into the written word. I really want my story to be a success. 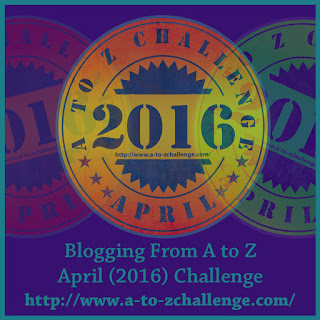 It will be a month-long project, a serial story, a WhoDunIt type of mystery. I’ve never taken on a project like this before and it a real challenge for me as a writer. Are you obsessed about something? Do you feel like a junkie because of your obsession? Share your thoughts with me in comments. As I sit here in my studio, snow falls gently outside. Silence rules the land. This is what I love most about Winter. Not the cold, no, never that. I don’t like to be cold and no amount of bundling ever seems to warm me enough. It is the snow that endears me to this time of year. The silence in snow falling. No traffic on the roads. No animals stirring. No hustle and bustle. Just silence. Silence is hard to come by in my house. My father is hard of hearing and whenever the television is on, it is always loud. He and my brother snore loudly at night too. I often sleep with earplugs. So when I get silence, I enjoy it to its fullest. It allows me to be reflective, meditative, mindful. As I gaze out my window, I sigh contently. Tomorrow, the hubbub will begin again as the plow trucks roll by, people attempt to get out of their driveways, and the endless sounds of metal against cement begins. For now, I will just sip my hot tea and watch, silently. What do you love most about Winter? Let me know in the comments! As a child, I was quite persistent. I had goals and was determined to achieve them. I wanted to graduate from college and be a writer. I worked hard, got great grades and was all set to make something of myself. Those plans didn’t pan out so well. I tried community college, hated my Business Management courses (mother was determined I would take courses to get a job straight out of college), dropped out, got married, lost a child, divorced, and roamed around like a nomad for several years. I didn’t make it back to college until I was nearly 24. Somewhere along the way, I got back on track. I became persistent again. I excelled in college, earning three degrees and a Certificate of Advanced Studies. I was well on my way to realizing my dreams. I felt as fluid as a river, flowing along, cutting through rocks and boulders. Carving a path for myself. I was writing poetry, submitting my work, getting published and even won a local poetry contest, earning my first paycheck. A whole $50. But it didn’t matter, I was excited. And then life got in the way again. Writing is hard. Earning money as poet is even harder. I ended up working several jobs to pay the bills, had very little time for writing and no time to submit my work. Instead of being a river, I was now the rock. Stuck in place, going absolutely no where. It would be years of working dead-end jobs, madness via mental illness, and another failed marriage before I budged. Dreams have a way of nagging at you. They interrupt your sleep, pester you during the day, invade your thoughts, and creep up on you at unlikely moments. Dreams are persistent. Nearly two years ago, I gave up the rock and surrendered to the river. I had no direction and no path, but I was fluid again. I wasn’t about to let my dream die. And so now, my persistence is paying off. I am writing, constantly. I am not as concerned about publishing these days, that may come somewhere downstream. For now, I just want to go with the flow and see where it leads me. Have you given up on your dreams? Or are you as persistent as a river? I would love to hear your thoughts.